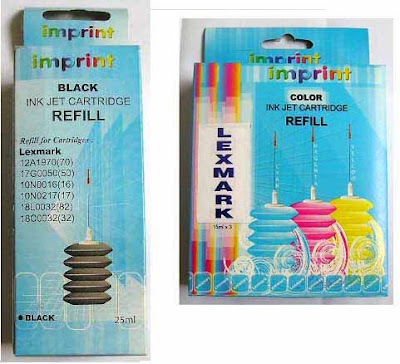 I have been using IMPRINT Lexmark Printer Refill Black and Colour for many years (8 years+) - safe to use & one of the only Waterproof Black compatible refill ink around. Shipping: Add RM4.00 in MALAYSIA by Reg. Post. Poslaju: RM7.00 - West M'sia; RM9.00 - Sabah; RM9.50 - Sarawak. FREE Delivery for PJ area.